Our school is situated in the attractive village of Sessay close to the market town of Thirsk. It consists of a beautiful old building which contains the school office and four brand new classrooms. There is also a playground, school field and a special Early years outdoor area which is accessible all year round. Our school is a Church of England School with a distinctive ethos and close links to the village church, which is right next door to the school. We aim to provide an exciting and stimulating place for our children to learn within a happy, caring Christian community that will give our pupils a fantastic foundation for the rest of their lives. I am the Executive Head Teacher of Sessay Church of England Primary School and I split my time between Sessay and Husthwaite Church of England Primary School. I enjoy spending time with the children and am privileged to have a role that allows me to work in two small schools with wonderful, hard working and caring children, staff and communities. 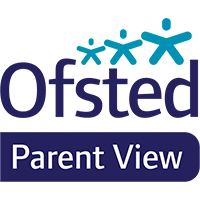 This website will provide you with lots of information about our school but we would be very pleased to show you around so don't hesitate to contact the school to make an appointment. Sessay CE Primary School is part of North Star Teaching Alliance, which is working in partnership with Leeds Trinity University to offer early years and primary teacher-training places for 2017-18. Find out more about the North Star School Direct programme here. The North Star Teaching School Alliance is a collaboration of primary, secondary and special schools in North Yorkshire. Our collective aim is to improve outcomes for all children through a self-sustaining, dynamic system of school improvement and support across the region and beyond.